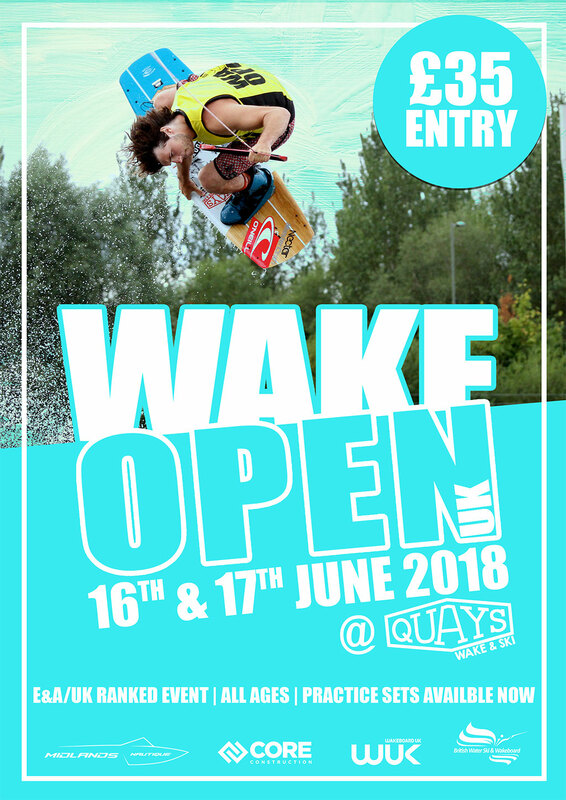 For the third season running the UK's best and brightest wakeboarders will be descending on Quays Wake and Ski for a weekend of wakeboarding, music and lakeside fun! Behind the huge wake of the Super Air Nautique G21, riders will be throwing inverts, spins and grabs to fight for 1st place. How did I become a BWSW member?– You can join the British Waterski & Wakeboard Federation here or you can join for a discounted rate through your/a cub if they are BWSW Affiliated. What time does the event start? – The first rider will be out on the water at 10am. What time do I need to be there?– If you are competing you will need to be at the site for 9.30am to register. What I've never ridden behind a G21 before? – We offer discounted practice sets to all competitors behind our G21 in the run up to the event and Friday 15th June will be the official practice day.